See all Calcaneus fx ICD-10 codes. Document smoking history, diabetes, PVD (increased risk of wound complications). 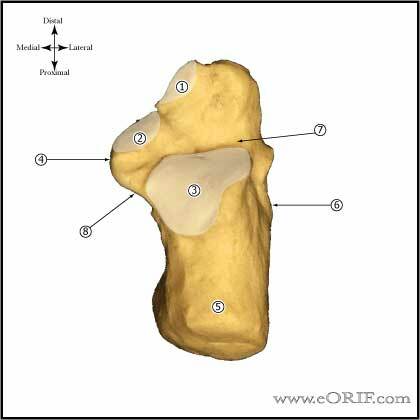 Harris view(axial view): demonstrates degree of lateral migration of the tuberosity. Broden's view-demonstrates articular surface of posterior facet-pt supine, cassette under leg/ankle, foot in neutral flexion with leg internally rotated 30-40, beam centered over lateral malleolus; xrays taken at 40, 30, 20, 10 degrees toward head of patient. Shows posterior facet as it moves from posterior to anterior. (Bruden Acta Radiol 31:85;1949). Generally get CT instead. 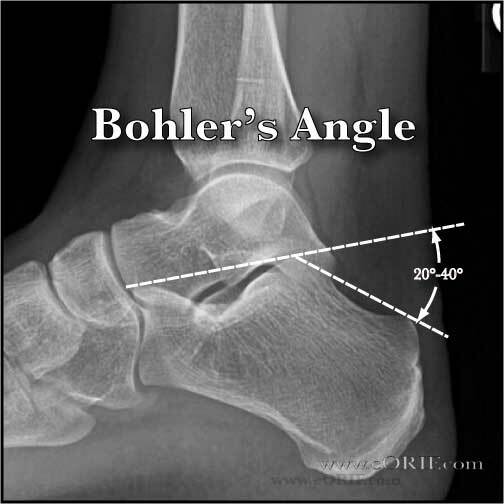 Bohlers angle(on lateral xray) usually between 20°-40°; formed by lines drawn from the highest point of the anterior process of the calcaneous to the highest point of the posterior facet and a line drawn tangential to the superior edge of the tuberosity. Decrease indicates posterior facet has collapsed. 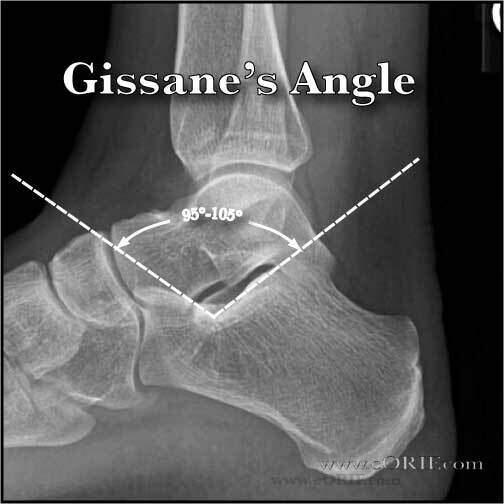 Gissane's Angle(on lateral xray) seen directly inferior to the lateral process of the talus, formed by lines along lateral border of posterior facet and anteriorly to the beak of the calcaneous. Usually between 95° and 105°. Immediate open reduction and internal fixation. Delayed treatment risks necrosis of the overlying soft tissue. Nonsurgical management leaves a large void which is unlikely to fill with bone; causes Achilles weakness and risks skin breakdown.